Clear communication: Communication is one of the most important parts of customer service. A business that fails to connect with their customers runs the risk of losing them. If you have an effective system to manage customer queries, you have easy access to the information that is required to keep your customers informed of the order process. In addition, automation of order updates-like dispatched, in transit, delivered- will keep your customers better informed. Faster and accurate delivery of products: We live in a world where people are accustomed to fast deliveries and a business that fails to do so in the specified amount of time is in danger of losing business to another organisation, as there are many who compete for the market share. If the product takes too long to be delivered, it might lead to the customer cancelling the order. And the one thing that is worse than a long wait is having to receive a wrong order in its place. To avoid mishaps like this, a thoughtfully planned warehousing system and a well-managed warehouse limits the dangers of human error. It limits the number of calls that you have field, as well as the returns that you have to process. Greater visibility in operations: It is crucial that the warehousing staff is well-informed and updated on the location of products, the status of orders and when new stocks come into the warehouse. Effective warehouse management ensures that you spend your time constructively instead of running around looking for products as this will have a direct impact on the status of the delivery. It allows the process to become more transparent, ensuring more visibility. Anticipate changing trends: Change is the only constant, as they say. The people working in the warehouse might come and go, and systems might change, but this transition should not affect the way that the business is run. Effective warehouse management allows you to predict change and stay ahead of the curve in an increasingly competitive market, as well as predict how this change is going to impact you. This ability will help you prevent disasters that might occur and implement the changes that are necessary. A back-up plan: As Murphy’s law implies: anything that can go wrong, will go wrong. This is especially true to business that deal with orders on a large scale, because there is bound to be a malfunction somewhere. In the event that a customer’s order gets damaged or lost during the order process, having a back-up plan will help smooth things over and still ensure a happy customer. Taking steps to up your warehousing system shows the customers that you care about the way they do business with you. By following these simple steps, you will ensure that the system is as streamlined as possible to not only make it easy for your clients, but your employees as well. 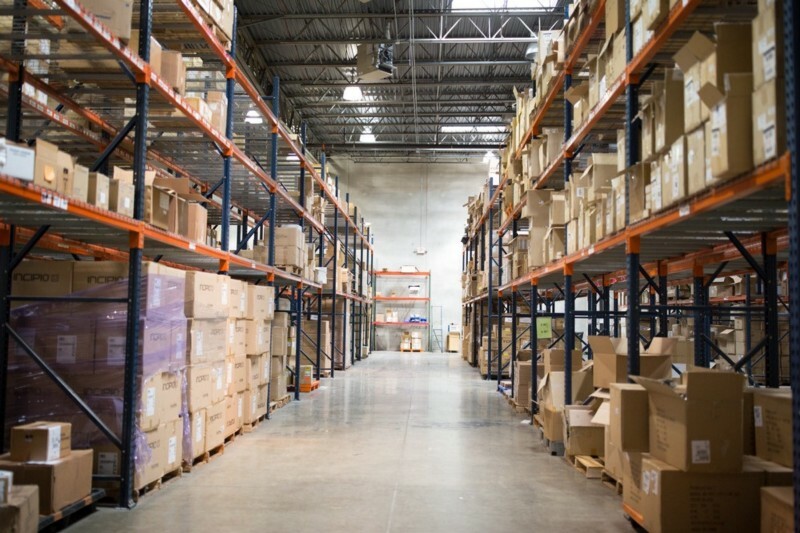 A well-maintained warehouse can help improve overall customer satisfaction and increase your customer retention rate.